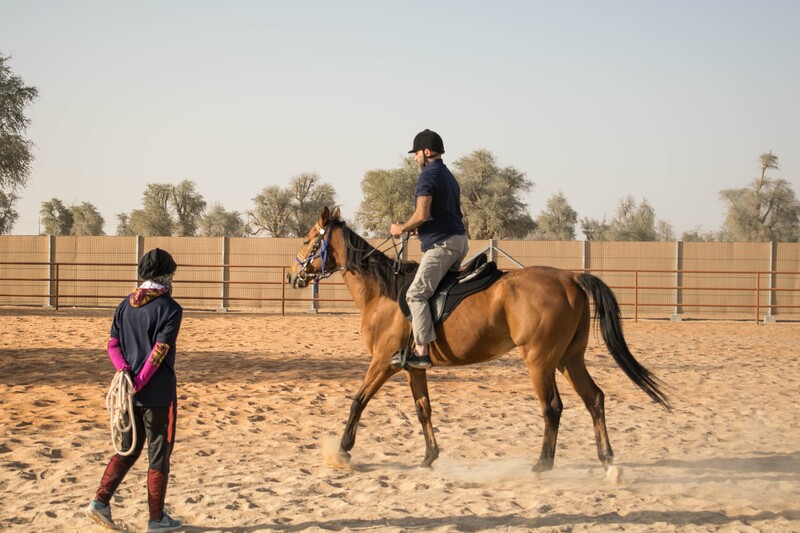 Introducing our new Horse Riding Experiences, enjoy a Desert Hack with family and friends or book a session at our training school. Explore the outback of Fossil Rock with our new horse riding experiences. For more information call us or send an email to book your package today! 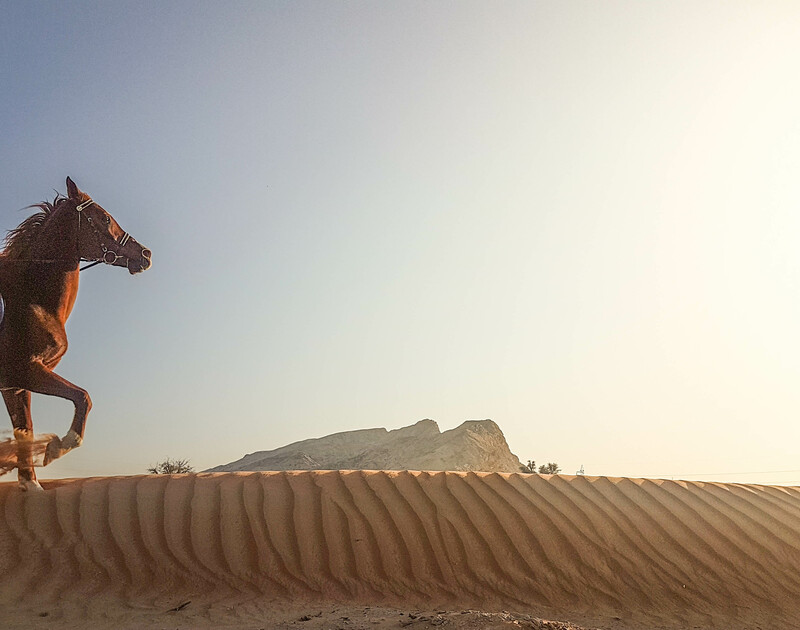 Experience the beauty of Mleiha’s landscape on horseback, with views of Fossil Rock and Faya mountain. 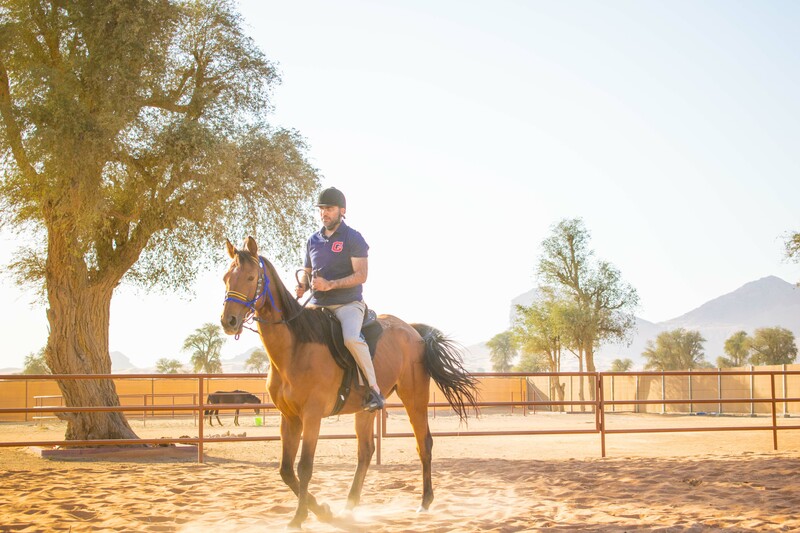 Even if you have never ridden a horse before, our expert guides will assist in leading you and your horse into the outback of Mleiha. End your experience with a stop at our luxurious gazebo at the stables where you can enjoy the landscape with an assortment of hot beverages and soft drinks. Suitable for 10 year olds and above. 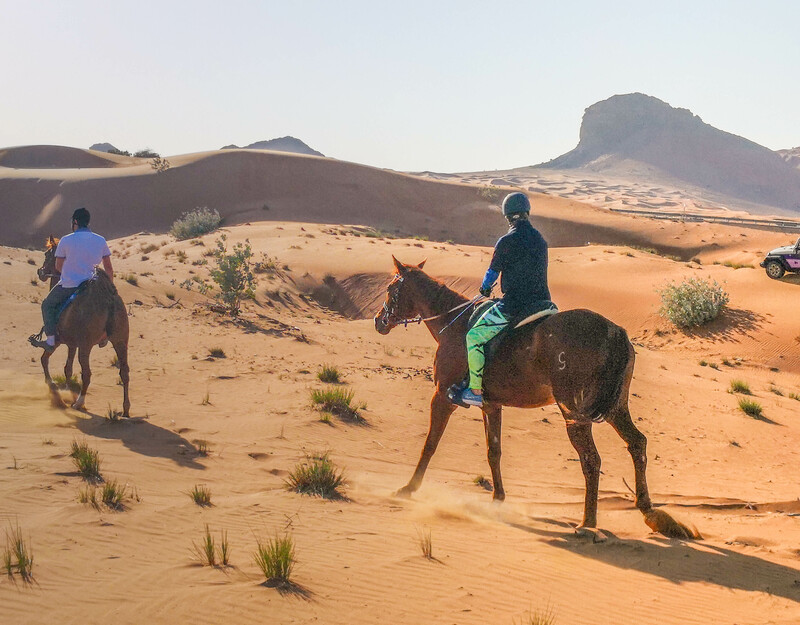 If you only have some experience on horseback, you can still take a short ride with your guides and explore Mleiha, with views of Fossil Rock and Faya Mountain. Your experience will conclude with a stop at our luxurious gazebo at the stables where you can enjoy the landscape with an assortment of hot beverages and soft drinks. 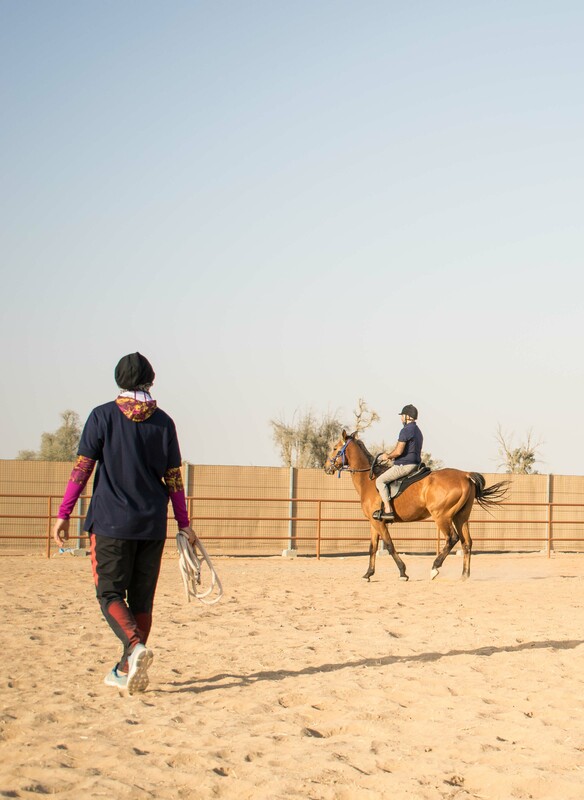 Explore the beauty of Mleiha’s Landscape on horseback, followed by a beautiful sunset view from our gazebo at the stables while enjoying your cup of karak. 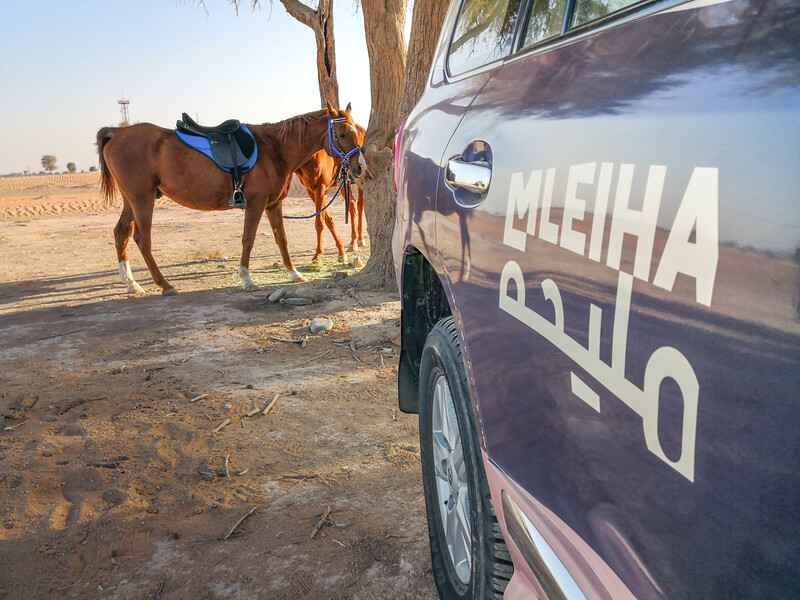 After a short tour of the museum, learning the history of Mleiha, start your journey at the stables with a quick brief of the tour from your guide. A quick warm up in the arena to test your skills and you’re off! Explore the outback of Fossil Rock and finally, arrive at our luxurious Gazebo set up at the stables for hot beverages and soft drinks and take in the beauty of Sunset at Mleiha. 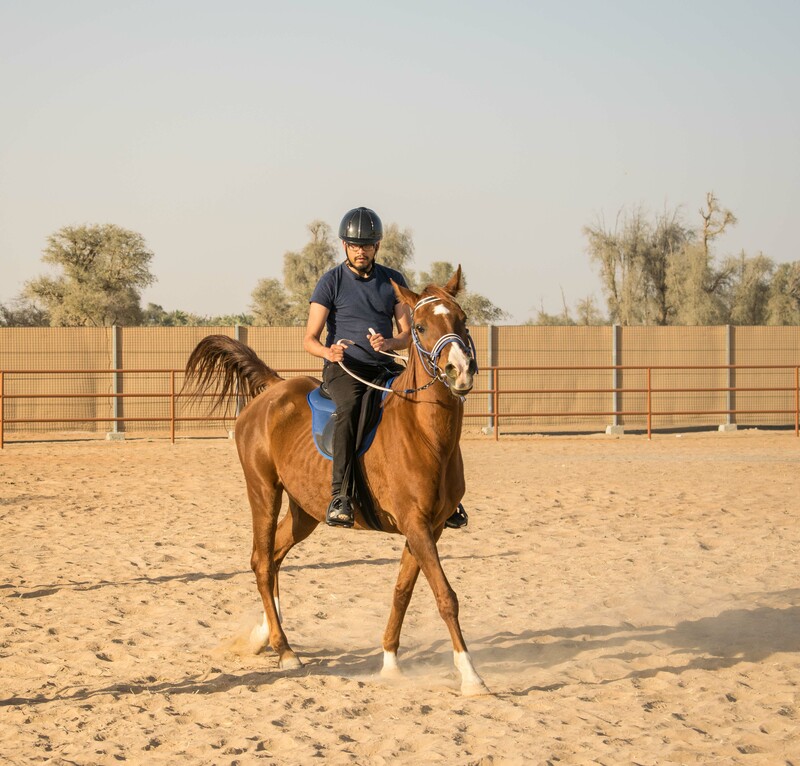 Learn the art of horse riding or simply brush up on your skills as a rider. Come join us for a single session or take a 10 session course with the scenic beauty of Mleiha around you. If you’re already a rider and prefer to ride in the arena, take a session in our arena where you can also enjoy the beauty of Fossil Rock and the Faya mountain range in the background. If you enjoy the beauty and majesty of horses why not add on to your Sunset Lounge or Overnight Camping experience. Visit our Escapes page for more information.